If you haven’t noticed, many high profile colleges and universities have begun hosting student blogs on their websites. There are many reasons doing this can benefit your school. In fact, provided it’s done in the right manner, hosting student blogs can really round out your higher ed marketing strategy. Let’s take a look at how below. Enhances SEO Performance – A big component of how a website ranks – including higher ed websites – is fresh content. Hosting student blogs on your university website increases the amount of content being produced and published without a lot of extra effort from your content management team. Fosters Deeper Student Engagement – Content from other students is more likely to appeal to the masses than that which is produced by faculty. It’s also likely to be more valuable. Think about it. Students will blog about things like the cheapest places to eat near campus or whether a certain course is worth taking – topics that are important to their peers. This will attract greater readership. Creates a Stronger Sense of Connection – The goal is to establish a deep enough connection with current students that they will want to remain a part of the university as an alumni. By allowing students to take an active role in their campus life, they’ll naturally develop a stronger connection to the school itself. Increases Visibility – As mentioned previously, higher ed student blogs tend to focus on campus life. That includes things like current course offerings, activities, athletics and more. Blogs about these topics will increase visibility of campus happenings without the need for much self-promotion. 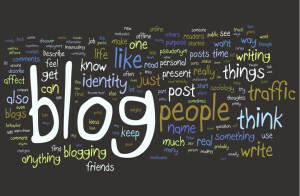 Promotes Student Development – There are a lot of excellent skills that are developed and fostered through blogging. Besides the obvious of writing, there’s also communication, organization and critical thinking, not to mention confidence – all of which will in turn benefit your school. If your higher ed website doesn’t already host student blogs, the time to start thinking about it is now. And with the right CMS product, you’ll be able to manage all your content from one easy dashboard. Contact us today to get started.